The opponent laughs and can't atack on the next turn. The Opposing pokemon is shy and switches with your opponents benched pokemon. 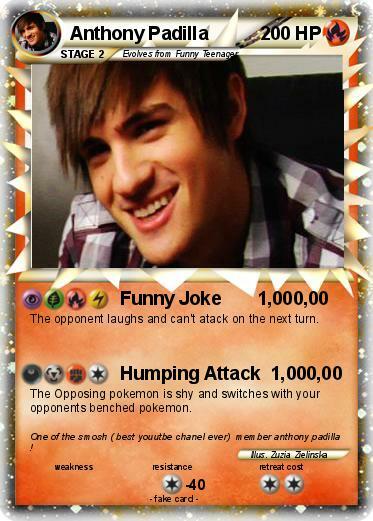 Comments : One of the smosh ( best youutbe chanel ever) member anthony padilla !